The American singer, songwriter, actress, comedian, and film producer is Bette Midler. She began her professional career in several Off-Broadways plays. As a solo artist, she has released 14 studio album. She performed on the USA for Africa's 1985 fund-raising single "We Are the World", and participated at the Live Aid event at JFK Stadium. Science isn’t the strength of President Donald Trump and the bums he surrounds himself with,’ entertainer Bette Midler opined on Tuesday. She attacked Trump for not taking heed of the United Nations’ climate prediction. 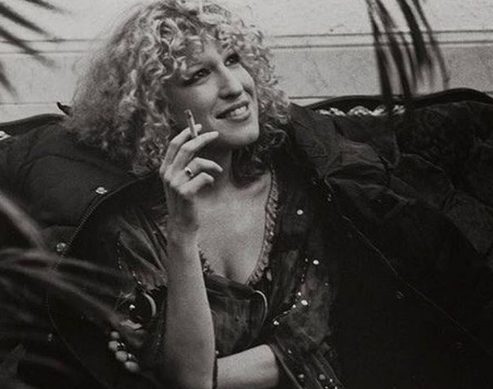 Bette Midler was born on 1 December 1945 at Honolulu, Territory of Hawaii. She was born to Ruth who was a seamstress and housewife, and Fred Midler who was at a Navy base in Hawaii as a painter and was also a house painter. She was born in the Jewish family. She attended Radford High School. She was voted "Most Talkative" in the 1961 school Hoss Election, and "Most Dramatic" in her senior year. She majored in drama at the University of Hawaii but left after three semesters. She earned money in the 1966 film Hawaii as an extra playing an uncredited seasick passenger named Miss David Buff. Midler’s height is 1.55 m and weight is 68 kg. Her hair color is blonde and eye color is gray. Overall, she has a balanced and healthy body. In 1965, she landed her first professional onstage role in ‘Miss Nefertiti Regrets and Cinderella Revisited’ which is a children's play. From 1966 to 1969, she played the role in ‘Fiddler on the Roof’ on Broadway. After Fiddler, she joined the original cast of ‘Salvation’ in 1969. She also began singing in Continental Baths in summer of 1970. In 1971, she starred in the first professional production of the Who's rock opera Tommy. She also appeared on ‘The Tonight Show’. In 1972, she released her debut album ‘The Divine Miss M’ on Atlantic Records. It became a Platinum-certified album. She made her first appearances on ‘The Tonight Show Starring Johnny Carson’. Her self-titled album was released at the end of 1973. From 1975–1978, she also provided the voice of Woody the Spoon on the PBS educational series ‘Vegetable Soup’. In 1977, her first television special was titled, ‘Ol' Red Hair is Back’. She received her first motion picture in 1979 in ‘The Rose’. She also released her fifth studio album titled ‘Thighs and Whispers’. In 1980, she released the concert film named ‘Divine Madness’. In 1981, she worked on the troubled comedy project titled ‘Jinxed’. It released in 1982 but was a big flop. So she did not play in any films until 1986. In 1983, she released the album named ‘No Frills’. In 1985, she also released an all-comedy album called ‘Mud Will Be Flung Tonight’. In 1985, she signed a multi-picture deal with the ‘Walt Disney Studios’. In 1986, she played role in ‘Ruthless People’. In 1987, she also played in ‘Outrageous Fortune’ and in 1988 she played in ‘Big Businesses’. In 1988, she lent her voice to the animated character Georgette, a snobbish poodle, in ‘Disney's Oliver & Company’. In 1990, she released her seventh studio album named ‘Some People’s Lives’. She also played a little role in ‘Stella’. She received her first ‘Razzie Award nomination’ for ‘Worst Actress’. In 1991, she played in ‘Scenes from a Mall’. In 1992, she did a lead role in ‘Sister Act’. In 1993, she starred in the Walt Disney comedy fantasy film named ‘Hocus Pocus’. She made a guest appearance as herself in Fran Drescher's ‘The Nanny’. In 1995, she appeared on ‘Seinfeld’. She had a supporting role in ‘Get Shorty’. In 1996, she played in ‘The First Wives Club’. In 2000, she played in ‘Bette’. But in 2001, the show got canceled. She also played in ‘What Women Want’. She also starred in ‘Isn’t She Great’ and ‘Drowning Mona’. In 2001, she was dropped from the ‘Warner Music Group’. Then she signed Colombia Records. She then recorded ‘Bette Midler Sings the Rosemary Clooney Songbook’ which was nominated for Grammy. She appeared in the supporting role in ‘The Stepford Wives’. In 2006, she released a new Christmas album titled ‘Cool Yule’. She starred in the comedy film named ‘Then She Found Me’. She debuted her Vegas show titled ‘Bette Midler: The Showgirl Must Go On’ at The Colosseum at Caesars Palace. She appeared on the Bravo TV show ‘My Life on the D-List’. She appeared in the ‘Royal Variety Performance’. In 2010, she voiced the character Kitty Galore in the animated film ‘Cats & Dogs: The Revenge of Kitty Galore’. She was one of the producers of the Broadway production of the musical Priscilla, Queen of the Desert, which opened in February 2011. In 2012, she co-starred in the family movie named ‘Parental Guidance’. In 2013, she performed on Broadway for the first time in more than 30 years in a play about the Hollywood superagent Sue Mengers. The play titled ‘I'll Eat You Last: A Chat’. In March 2014, she performed at the 86th Academy Awards telecast at the Dolby Theatre. In 2014, she released the album named ‘It’s the Girls’. In March 2017, she began playing the role of Dolly Gallagher Levi, continuing through January 2018, in the Broadway revival of ‘Hello, Dolly!’. In 2017 she also appeared in the 2017 film ‘Freak Show’. On April 20, 2018, it was announced that she will be returning to ‘Hello, Dolly!’ on July 17 to close out the run of the successful revival. In 1973, she received ‘Best New Artist’ at ‘Grammy Award’. In 1974, she received a ‘Special Tony Award’. In 1976, she as honored as ‘Woman of the Year’. She received an award at ‘Emmy Award’ for ‘Outstanding Special- Comedy-Variety or Music ’. She won the ‘Golden Globe’ for ‘Best Actress (Comedy or Musical)’. She won the ‘Grammy Award’ for ‘Best Pop Vocal Performance –Female’. She won the ‘Grammy Award’ for ‘Record of the Year’. She received ‘Golden Globe’ award. In 1992, she received ‘Emmy Award’. She received ‘Emmy Award’ for ‘Outstanding Performance’. She was awarded a ‘People's Choice Award’. In June 2012, she received the 'Sammy Cahn Lifetime Achievement Award' at the ‘Songwriters Hall of Fame’. In 1984, Midler got married to Martin von Haselberg. The couple has a daughter named Sophie von Haselberg. They are living happily. They also have a mutual understanding. 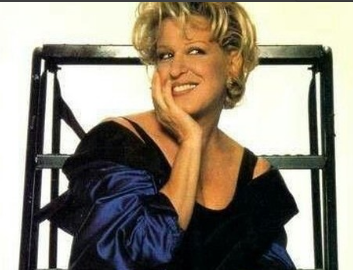 Midler is a famous singer and actress. Her net worth is estimated to be $230 million. Bette was named after Hollywood actress Bette Davis, and her sisters, Susan and Judy, are named after other Hollywood stars, Susan Hayward and Judy Garland. Mick Jagger made an appearance at one of Bette Midler's performances at the Continental Baths. As a young girl in Hawaii, Bette worked at a pineapple processing plant.